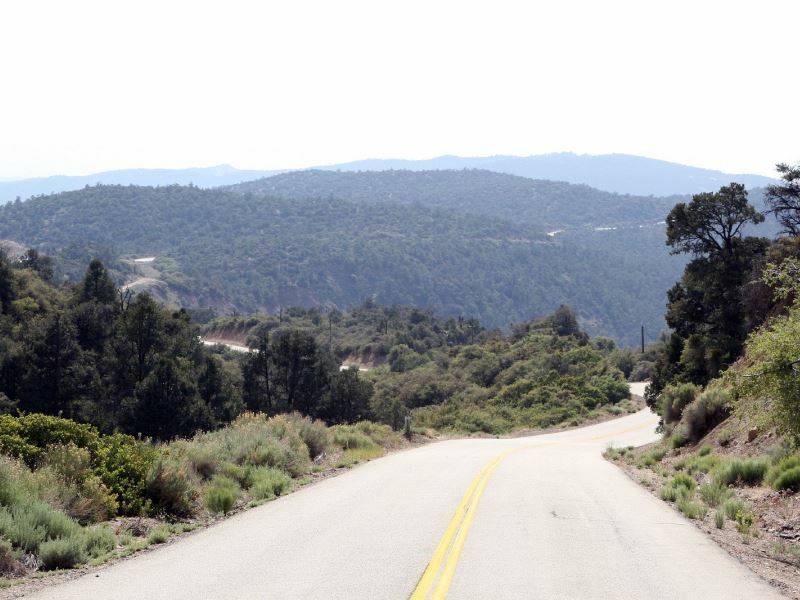 The Heartbreak Double Century is a difficult ride that passes through Los Angeles National Forest and Los Padres National Forest. It is held on the same day as the Heartbreak Hundred and shares the course between miles 50 and 150. The remaining 100 miles lead from Palmdale to Lebec and back. From Palmdale the ride gradually climbs on Elizabeth Lake Road, Pine Canyon Road, and Old Ridge Route, with a few ascends and descends. After crossing Antelope Valley (San Andreas Fault), it further climbs on Tejon Pass. 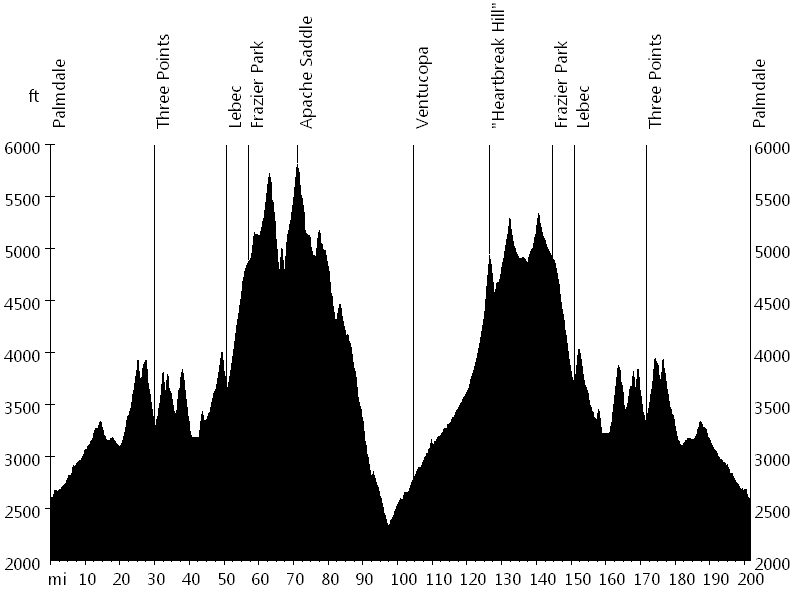 The ascent from Lebec to Frazier Park is followed by climbs to Mount Pinos and Apache Saddle. 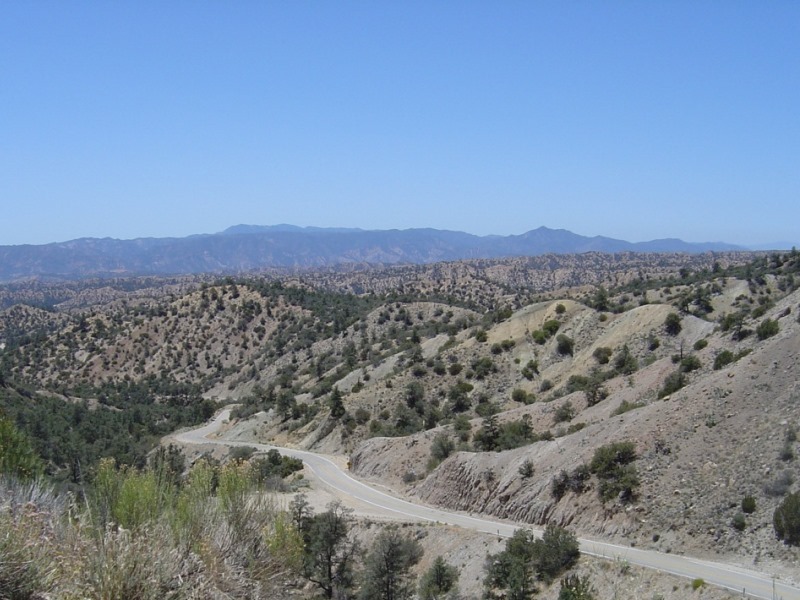 Then a long descent on Hudson Ranch Road heads down a ridge dividing California's Central Valley in the north from the Cuyama and Lockwood Valleys in the south. A turn on Highway 166 and another turn on Highway 33 lead to Ventucopa. The course then continues on through Cuyama Valley and climbs up Lockwood Valley, traversing Heartbreak Hill. 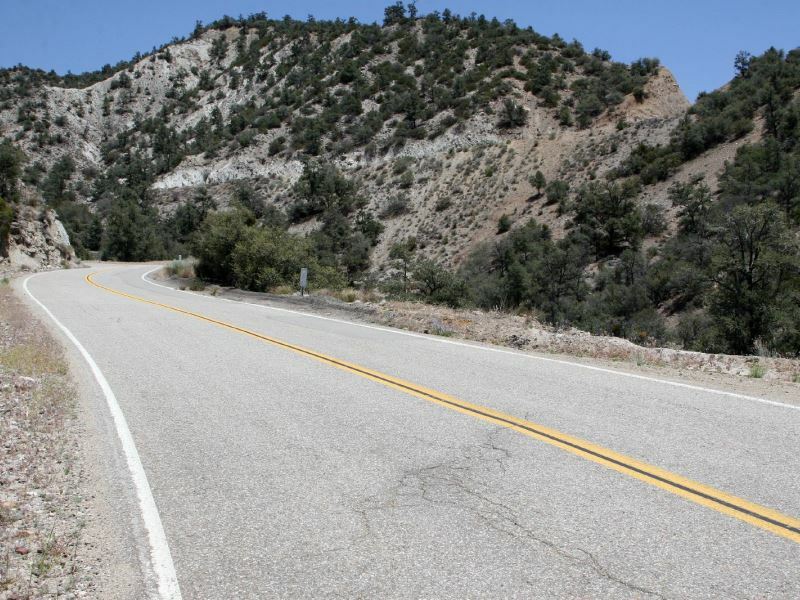 Eventually the route leads back to Frazier Park and down to Lebec. From Lebec the ride follows the same roads back into Palmdale. I ran into Tony M. from Cherry Valley, Linda B. from Ventura, Dave McR. from Pasadena (century), Isabelle D. from Laguna Beach (century), and Beatrix S. (volunteer).